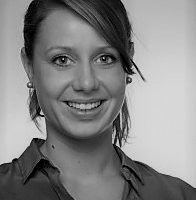 Charlotte Beck is Program Director for Foreign & Security Policy at the Heinrich Böll Stiftung North America. Their worlds are still far apart: national security and foreign policy experts have traditionally thought of energy mainly in terms of the need to secure access to energy resources from abroad while avoiding strategic dependence on the suppliers. At the southern border of “Fortress Europe”, the Mediterranean has turned into a graveyard. The current migrant crisis in Europe is about more than a risk to the EU’s reputation. It strikes at the core of the EU’s founding values. A continuation of its half-hearted response to the migration crisis is out of question. While the spectrum of ideas defining a Green foreign policy remains wide, several overarching tenets have emerged over the past decades. Foreign policy, as is generally known, is the extension of domestic politics. With Minsk II threatened by its collapse only days after the agreement was reached, stern warnings have been voiced on both sides of the Atlantic on the looming possibility of a transatlantic rift in case the U.S. would decide to arm the Ukrainian government with defensive military equipment. But where do the German and U.S. public stand on this issue?